Book of abstracts from the workshop on The 'new peripherality': scaled, contested, and relational. 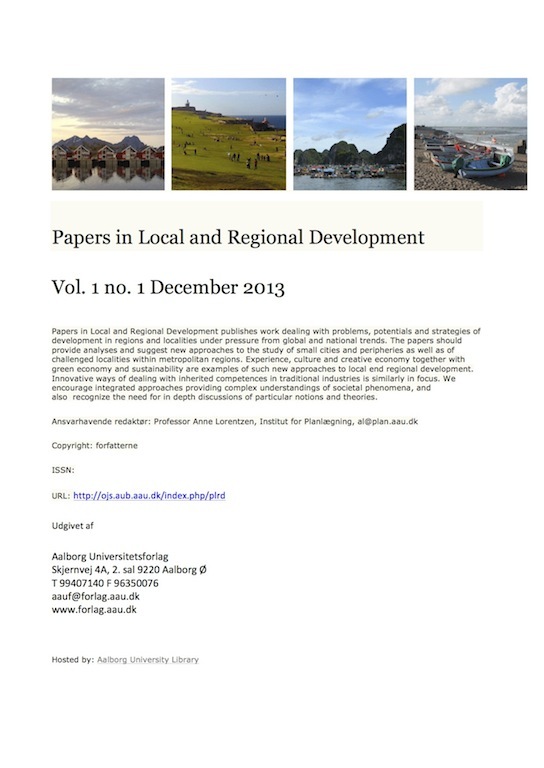 The papers should provide analyses and suggest new approaches to the study of small cities and peripheries as well as of challenged localities within metropolitan regions. Experience, culture and creative economy together with green economy and sustainability are examples of such new approaches to local end regional development. Innovative ways of dealing with inherited competences in traditional industries is similarly in focus. We encourage integrated approaches providing complex understandings of societal phenomena, and also recognize the need for in depth discussions of particular notions and theories.